You can never be too crazy about your security. When I got my Android phone a while back, one of the first programs I installed was the Lookout security suite. It backs up my phone and checks every download for bad stuff. Now comes word from the website talk android.com about a Trojan horse program targeting the Android OS. You can't get it on Programs downloaded from the Android marketplace, but it pays to be vigilant. Here is what Talk android.com had to say about it. The specific information it collects includes location coordinates and unique identifiers for the device (IMEI) and SIM card (IMSI). At five-minute intervals, Geinimi attempts to connect to a remote server using one of ten embedded domain names. A subset of the domain names includes www.widifu.com, www.udaore.com, www.frijd.com, www.islpast.com and www.piajesj.com. If it connects, Geinimi transmits collected device information to the remote server. We will say this, however… this isn’t a giant threat. In order to get infected, you would have to install an sideload app from a 3rd party or Chinese Market, meaning the trojan doesn’t come to your phone by way of the official Android Market. So be careful out there, users, and always make sure your apps are coming from a legal, legit source. Lookout Mobile Security, however, has been updated to protect against the malware, so be sure to get it here if you aren’t already using it. On one of the most special days of the year, I would like to wish all of you the happiest of holidays. I happen to be Roman Catholic, but this wish goes out to all of you no matter what your beliefs. I hope this day brings you joy, peace, and the love of your family and friends. Hold close those you hold dear and cherish your time with them. Our time in this world is limited and we need to spread as much love as possible! So with all the warmth and enthusiasm I can muster, I say to you and yours "Merry Christmas"!!! As I surf around the net, from time to time I come across websites that are ones that just pull you in like the tractor beam from the Death Star in then original Star Wars did to the Millennium Falcon. Chinavision is one of those websites. The site is just chock full of gadgets that a James Bond fan could spend days browsing. I've purchased from them and have always been happy with what I received. So the device pictured above, caught my eye since I have an iPod Touch and many of my friends have iPhones. One of the drawbacks of those devices is the lack of a removable battery. With my current phone (Samsung Epic), I can use my second battery if the first one runs low, but that isn't an option for the iPhone. As an Apple fan you must know various other powerful backup iPod or iPad batteries on the market. Why I recommend the Octopus – Attachable Battery for iPod and iPhone? The reason is straightforward: the Octopus looks way COOLER, and it’s CHEAPER. Your iPhone or iPod is the most fashionable of all electronics and it deserves the best accessories, even if it’s a backup battery. The powerful Octopus, with its eight suction cups, attaches to your phone securely and supplies hours of extra battery juice to your phone. And it seems amazing how a powerful device like the Octopus can be so small and slim. The Octopus: a perfect accessory for your iPod or iPhone. Just google attachable batteries for iPods and iPhones to see the average price of these babies. Notice how similar products on other internet stores sell for almost twice as much as our price. Apart from the low price and the fact that the Octopus is ergonomically designed and easy to use, there’s not much left to consider. Buy your sample today and we will ship it to you tomorrow. Brought to you by your source of China factory direct electronics – Chinavasion. Howtogeek is a great website. It's just full of amazing and practical tips that make your tech life easier. Along those lines, it also has some great recommendations on using The Cloud. As regular readers know, I'm a big fan of the cloud. In fact, I'm sure that my life definitely wouldn't be as organized or run as smoothly without some of The Cloud applications that I use. With that being said, Howtogeek has a great tutorial on how to make even better use of The Cloud. By adding a Google Docs link to the New Documents menu, your Cloud usage becomes easier and your life will become easier as a result. For all the details click here.. You'll be glad you did! Last year when Steve Jobs announced the iPad, I wasn't overly impressed. I'd been using a Tablet PC for a few years and I didn't see the need to run out and by another similar device. In fact, the Tablet PC actually (I thought) did more than the iPad. I had originally bought the Tablet PC for my office when we began doing digital patient checkin. When I built the new office, I created a dedicated checkin area with 2 computers specially built to handle the check in tasks. When that happened, I moved the Tablet to my personal office and began to get more hands-on time with it. There is something to be said about having a fully functional computer that has the form factor of a clipboard. Sure it was a little slow, but we're used to that with out computers, right? I figured that with a fully functional PC, I would never need an iPad. Then my friend Ben went on vacation and loaned me his iPad for a week or so. When he came home and needed it back, I was hooked. I found that what a I really needed was a way to easily consume media with my portable device and not all the bells & whistles that come with a PC. So, to that end, Microsoft is set to announce at the upcoming Consumer Electronics Show, their next attempt at slate/tablet computing. The strange part is there will be no app store (users will download programs from individual websites) which are available from links on the device. Also, it seems the company is still not going with a device to consume media, but instead is going for a hybrid device that will also allow for creating media. I'm not sure where I stand on the creating part. What I've found over my time with the iPad is that I don't want to do a lot of typing on it and I certainly don't want to develop lectures on it. For those labor intensive projects, I use my laptop. For reading, short blog posts, watching movies, or surfing the web, I like the iPad just fine. At this point I think Microsoft would be better served by finding a niche and sticking to it. I've been wrong before, but I think the current thinking of being all things to all people may just continue them on the same path of Tablet mediocrity. For the full story from the New York Times, click here. A little while ago, I posted a photo for the new product that ioSafe will unveil at CES in January. Here is the second clue. If you can figure out what it is, you can win one of the new devices. For all the info, here is the webpage. Thanks to the still ongoing, although greatly scaled back browser wars, users still have a chance to use several different browsers. Choice is a good thing and it's nice to have several different programs to choose from. Each browser has it's strengths & weaknesses, but each also has it's raving fans. Here's the latest from the group that creates Opera. Are you ready for Opera 11? Opera Software debuted the newest version of its award-winning browser today. Opera 11 combines elegant design, smart updates to some of our most popular features and new ways to customize Opera to your preferences. Download it today for Windows, Mac and Linux computers from http://www.opera.com/. 1. NoAds authored by Lex1. The top ad-blocking extension for Opera. 2. LastPass authored by lastpass. LastPass is a free password manager and form filler. 3. FastestTube - YouTube Video Downloader authored by fastesttube. Download any video from YouTube. 4. Image preview authored by whochan. 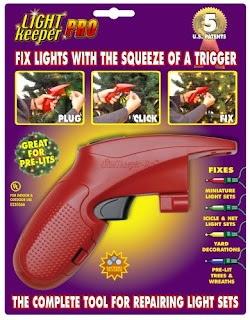 Displays a pop-up preview of an image. 5. Translate authored by neilj. Automagically translates foreign-language webpages. With the flick of your wrist, mouse gestures let you navigate back and forwards, open new pages, close tabs and so much more. In Opera 11, you now have a handy visual guide to the wonders of mouse gestures. We changed the address bar, so you can make better sense of the security levels of the sites you visit. Opera 11 now displays a clear badge indicating the security level and allowing immediate, one-click access to security and trust information about the site. "We have always worked hard to introduce new and bold ideas in web browsing," said Jon von Tetzchner, Co-founder, Opera. "But, sometimes we want to take an idea and improve upon it. Opera 11 adds a layer of polish to features people have known and loved for more than a decade, while introducing extensions. If you have never tried Opera before, Opera 11 will change everything you know about browsing." * Plug-ins can be set to load on-demand. This can improve performance of the browser up to 30 percent. Sometimes it is just flat out amazing when you encounter some of the form factors of high powered gadgets. This is one of those items. The Swap Rebel packs an almost overwhelming amount of computing power and functions into one tiny little footprint. Put one of these babies on your wrist & you may never need another gadget... Oh who am I kidding? You'll always need more gadgets, but this little beauty is definitely a wonder. It has a GSM phone, plays music & video, has a camera for stills & video, 128MB of internal memory, memory expansion up to 8GB via Micro SD, Bluetooth, and still fits into a 205 x 46.5 x 17.5mm case. It's available in Europe and can be had for roughly $300 US. Pretty impressive if you ask me. For those interested the website can be accessed here. Accessories Watch phone, Unique USB charging/data transfer point built into the strap, Wired stereo earphones, Incorporated mini stylus, User guide. Complete with colourful presentation box, high quality water resistant silica rubber strap with Stainless Steel buckle. OVERLAND PARK, Kan. (BUSINESS WIRE), December 08, 2010 – Sprint (NYSE:S) today announced that it has signed international 4G roaming agreements with Digicel in Jamaica and Global Mobile in Taiwan, leveraging the global ecosystem for 4G services to enable travelers on the go. Select Sprint devices that operate with the Sprint SmartViewSM Connection Manager will automatically detect the Digicel and Global Mobile networks, giving customers the option to connect and roam with an unlimited 24 hour Daypass. Pricing and launch details of the agreements are still to be determined. The Sprint SmartView Connection Manager allows users to create a high-speed Internet connection for their computer anywhere on the Sprint 3G or 4G networks or on compatible international networks with a Mobile Broadband Device, such as the Sprint 3G/4G USB Modem 250U by Sierra Wireless or Sprint 3G/4G U600 USB Modem. Sprint customers traveling to Jamaica and Taiwan will be able to access the Digicel and Global Mobile 4G networks for mobile downloads, video chat capabilities and turbo-charged Web browsing at 4G speeds. Sprint 4G can be found in 68 markets1 across the United States, including Atlanta, Boston, Chicago, Dallas, Houston, Los Angeles, Miami, New York City and Washington, D.C. Sprint 4G plans to light up several new major markets, including San Francisco and Denver, by the end of this month. Obstructive Sleep Apnea (OSA) is becoming more and more common in the US. There are several ways to treat it including some that are done by dentists. Here's news on a new implanted device for severe sufferers. Minneapolis – November 30, 2010 – Inspire Medical Systems, a leading developer of neuro‐stimulation therapies for the treatment of obstructive sleep apnea (OSA), announced today that the company has received approval from the U.S. Food and Drug Administration (FDA) to begin its STAR pivotal clinical trial. The STAR trial (Stimulation Therapy for Apnea Reduction), is a multi‐center study that will evaluate both the safety and effectiveness of InspireTM Upper Airway Stimulation (UAS) therapy in patients with moderate to severe obstructive sleep apnea (OSA). The STAR trial will be conducted at leading medical centers across the United States and Europe. The results of this study will be the basis for a Pre‐market approval (PMA) application to the FDA. The first U.S. implants in the STAR trial are targeted for early 2011. Prior to the approval of the STAR trial, Inspire Medical Systems completed three independent feasibility studies in The United States, Europe and Israel. Clinical data from those studies served as the basis for initiating the STAR trial. OSA is a common sleep disorder that occurs when the tongue and other soft tissues of the throat relax and obstruct the airway during sleep. Apnea events can occur multiple times per hour throughout the night, disrupting normal sleep. People suffering from OSA report significant daytime sleepiness and impaired quality of life. Depending on the degree of severity, OSA can be a potentially dangerous condition. OSA has been linked with increased risks for cardiovascular disease, weight gain and accidents resulting from daytime drowsiness. It is estimated that one in fifteen US adults has moderate to severe OSA. Inspire Upper Airway Stimulation (UAS) therapy is a dynamic, implantable therapy that works with the body's natural physiology to prevent airway obstruction during sleep. While the OSA patient sleeps, Inspire therapy is designed to deliver physiologically timed, mild stimulation to the hypoglossal nerve on each breathing cycle. The stimulation is intended to restore tone to the muscles that control the base of tongue, preventing the tongue from collapsing and obstructing the airway. Patients control when the therapy is turned on and off via a handheld programmer. In contrast to other surgical procedures to treat sleep apnea, Inspire therapy does not require removing or permanently altering an OSA patient’s facial or airway anatomy. The STAR trial is a global, multi‐center clinical trial which will assess the safety and effectiveness of Inspire Upper Airway Stimulation (UAS) therapy in patients who suffer from moderate to severe obstructive sleep apnea (OSA). The trial will be conducted at leading medical centers throughout the United States and Europe. For more information on The STAR trial, visit www.InspireSleep.com. Caufield and Byers, Synergy Life Sciences Partners, US Venture Partners as well as Medtronic. Visit Inspire Medical Systems on the web at www.InspireSleep.com. For a while now, I've been using DoubleTwist to keep my media on my different devices. I like the program because not only is it free, but it also lets me circumvent iTunes and control my media library on any device and not just the ones that play well with Apple. I've been a user for over a year and I've seen the program evolve. I highly recommend it. 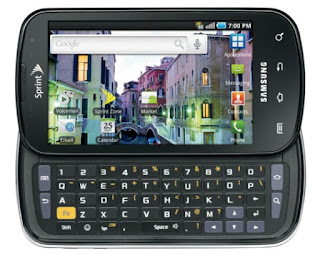 I was thrilled today to learn of a new way to use DoubleTwist on my Android powered Sprint Samsung Epic. It's an app called DoubleTwist AirSync and it allows you to do what the name says... sync your media to your phone through the air using a Wifi network. Basically you download DoubleTwist for the Android operating system from the Android Market (a free download). Then you buy and install the AirSync app which is purchased for $1.99. Install, pair with your computer, and enjoy! The program will sync music, photos, and videos. If you are an Android user, download & enjoy! Malvern, PA (December 1, 2010) – TheDentalEZ® Group, a supplier of innovative products and services for dental health professionals worldwide, recently unveiled its latest utility room offering at the annual Greater New York Dental Meeting. The new RAMVAC® Badger™ is a LubeFree™, waterless, affordable alternative to wet ring or aging dry vacuum systems. The Badger is an economical dry vacuum unit that easily replaces most traditional water ring pumps. Designed for 1-3 users, the Badger is lightweight, flexible, and compact. With a small footprint of 18” x 22” x 25”, installation is simple and easy. The Badger is compatible with existing plumbing as small as ¾” and as large as 2” in either rigid or flexible PVC, making installation a breeze. Stackable for easy expansion, the Badger provides superior performance while taking up minimal space. The Badger’s LubeFree rotary vane vacuum pump includes a 5 gallon separation tank and is protected by RAMVAC’s exclusive 5-year no-fail, no-wear-out pump warranty. The E1 “Smart Control” provides maintenance reminders every 2,000 hours, and has an auto shutdown feature that ensures the longevity of its rotary vanes. The open-frame design of the Badger provides a cooler unit operation and ease of maintenance. There are no traps to clean or maintain and the unit provides whisper-quiet operation. In addition, the Badger maintains consistent vacuum levels when one or more HVE’s are in use, ensuring smooth operation at all times. Moreover, the Badger recently received an EDA Accepted status seal from the Eco-Dentistry Association™, due to its superior water conservation aspect and pollution-prevention features. 100% water-free operation of the unit completely eliminates additional vacuum-related water and sewage fees. For more information, please call 866-DTE-INFO or visit www.dentalez.com.